Clays House - Central Cornwall, cosy family and dog friendly home. Clays House is a modern detached dog friendly family home situated 2 miles off the A30. - Eden Project 15 minutes. - North coast 30 minutes. Clays House is in a quiet residential area in mid Cornwall, making it an ideal base for exploring Cornwall. Less than a mile from the house the village of Roche has a traditional family butcher, greengrocer a co-op and various takeaways and pubs. The house is a welcoming home whether you're wanting a family holiday or short break with friends and dogs. It's modern and well equipped with a full size dishwasher, large fridge freezer and washing machine. The addition of a traditional granite open fire provides a cosy feel for settling down after a busy day out and about. The house sleeps 2 children in bunk beds and a baby in one of the main bedrooms. To make the family holiday as easy as possible the house is equipped with retractable stairgates, a high chair, travel cot, childrens tableware (except sippy cups), night lights and socket protectors. Two well behaved dogs are also welcome, food and water bowls are provided. There is a small enclosed garden at the rear of house and parking for two cars at the front of the house. Clays House was my own self build project in 2005. It's location is so central in Cornwall and under 2 miles from the A30 it makes getting anywhere in Cornwall very easy. Roche is a former Clay mining village and very traditional. It's far enough away from the popular tourist areas to avoid the huslte but close enough to visit. There is a pretty walk from the house to Roche Rock which is very quiet. Roche is 600 ft above sea level and the view from the Rock on a clear day is impressive. I love the South Coast of Cornwall and particularly like to visit Charlestown (6 miles from the house) and walk the coastal paths around St Austell Bay. All beds are made up with one set of linen for your stay. During the winter months we provide enough kindling and logs to get you started with one fire. Parking in front of the house for two cars. The house has a garage but it is currently not available to guests. However, parking in front of it is fine. One bath towel per person. One hand towel and bath mat per bathroom. Two teatowels per stay. Cosy living room adjoining the dining space. Milk, tea and coffee provided as part of booking. There is normally tin goods, condiments, dried herbs and spices in the cupboards. Guest are welcome to use any of these items and kindly replace. Includes childrens tableware wear except sippy cups. The family dining room is open plan to the lounge. Including some childrens book. They are also maps of the area. Family and childrens board games. The house is situated in the former clay mining village of Roche. It is a tradtional Cornish village away from the busy main holiday towns of Cornwall but it's location is great for exploring the whole of Cornwall. Roche is famous for 'Roche Rock' which can be seen and walked to from the house. Lovely time at Clays house. Had three young kids and was perfect for us. Had everything we needed and a great location for exploring cornwall. Definitely recommend! 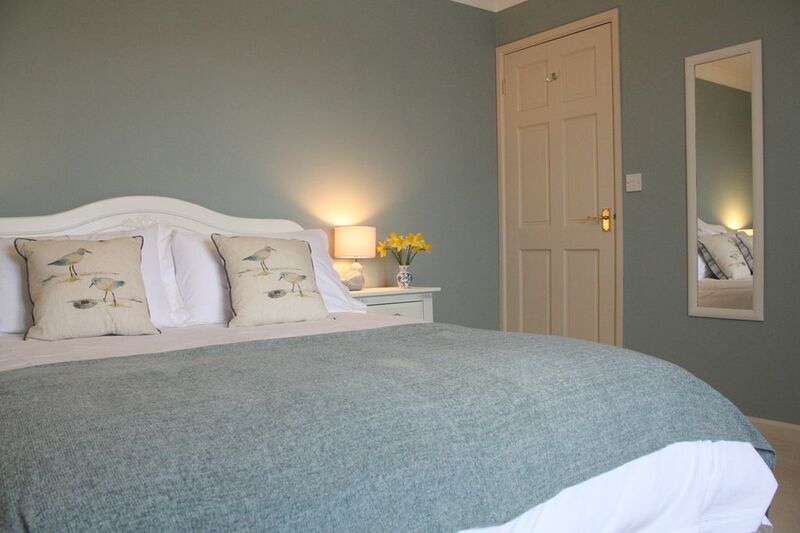 My wife, daughter and myself stayed at Clays House from 11th -17th July.The house was clean, comfortable and quiet and a perfect location for our daily trips to all parts of the Cornish coast.I have no hesitation in recommending Clays House to anyone looking for outstanding accommodation in Cornwall. Thank you Jerry, Your review is very much appreciated. I'm so happy when guests enjoy their stay but more so when they appreciate the location as it's not typically tourist but perfect for exploring. We spent a lovely few days at Clays House. A lot of thought has gone into ensuring the house has everything you will need including dog treats! There are great walks nearby and it is convenient for visiting so many beautiful places. Thank you! Thank you Jo, I'm so pleased you enjoyed it and your dog enjoyed the treats. You're all very welcome back. Clean and well equipped house. Clean and well equipped house not far from the Heligan gardens and Eden Project . Dog friendly. Enclosed garden made it easy for having dogs stay. Thank you for your lovely review. I'm glad your enjoyed your stay at the house and found the location good for visiting Eden and Heligan.